Everyone always has a bottle or two of lotion laying around. I always have a small bottle in my purse at all times. 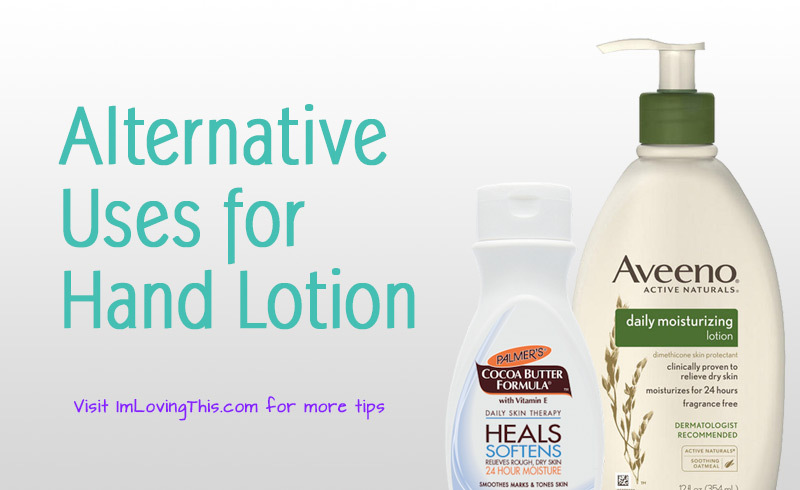 Lotion is typically used to moisturize your skin but it has many other uses as well. Take a dime-sized amount of lotion and mix with equal part water to create a hair smoothing serum. Apply the serum to your fly-aways to hold them down and create a smooth look. If your hair is curly than you can scrunch the serum into your entire head of hair to help hydrate and redefine your curls. Take a squirt of your lotion and mix it with some bronzer powder to create a bronzing lotion. Apply the lotion to your body for an instant sun kissed glow. Have you ever been out and noticed that your mascara is all under your eyes? Just dab a pea-sized amount of lotion onto your under eye area and gently swipe it away with a tissue. Your under eyes will no longer have the raccoon effect. Just be careful not to get it in your eyes. If you run out of shaving cream than reach for your bottle of lotion and use it instead. Lotion is easy to apply and will leave your legs silky smooth. You can quickly polish up your high heels and remove dirt by wiping them with a small dab of hand lotion. Rub lotion between your hands and then rub your hands over your shirt or skirt to remove static electricity. Often times I will apply my hand lotion to my lips. My lips are dry a majority of the time and sometimes I just need that extra moisture that a lip balm doesn’t seem to give me. Just make sure not to eat it, and maybe just stick to unscented lotions when using it as a lip balm. Also check out alternative uses for hair spray. Thanks for the tips! I especially like the bronzer idea.